Coat by Carin Wester, dress vintage Ralph Lauren, stockings vintage Max Mara and necklace by Filucca Lou. 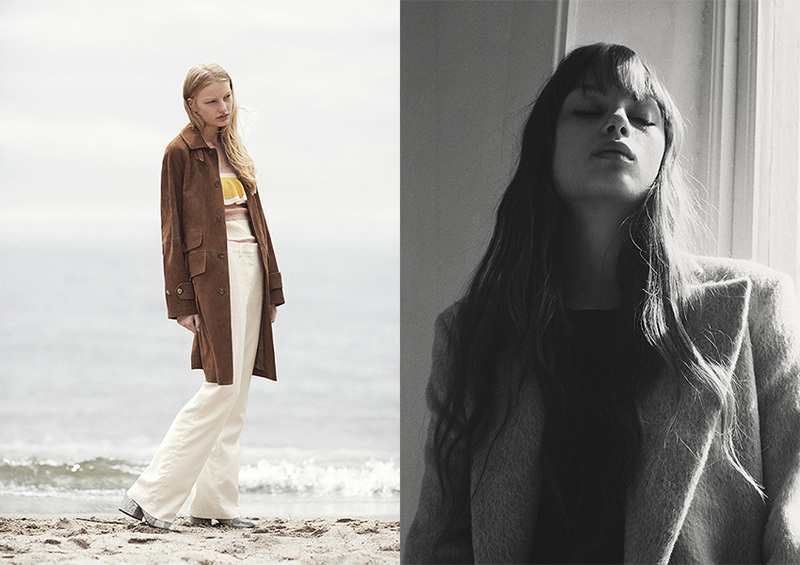 Jacket by One teaspoon, shirt and trousers by Ganni and shoes from China store, Stockholm. Body by Bik Bok and trousers by Love Moschino. Choker by H&M, dress by Toteme and bra by Calvin Klein. Shirt by Levi ́s, skirt by Carin Wester and earrings by Flux & Solder. Shirt by Ljung, trousers by Never Denim/Bik Bok, lace body by Ganni, shoes from China store, Stockholm and ring by Flux and Solder. Coat by Polo Ralph Lauren, top by Just Cavalli, trousers by Gant and shoes by Carin Wester. Coat by Carin Wester and dress vintage Ralph Lauren. T-shirt by Frame Denim, skirt by Baum und Pferdgarten, stockings by Calzedonia, necklace by Flux and Solder and boots stylists own. Sweater by Acne Studios, choker by H&M and stockings by Sneaky Fox. Jacket by Edwin Trieu, denim by Gul&Blå., top by Calida and choker by H&M. Leggings by Carin Wester, bikini top from market in Brasil, nose ring by Flux and Solder and shoes by ATP atelier. Top by Valerie, trousers by Ganni and choker by H&M. 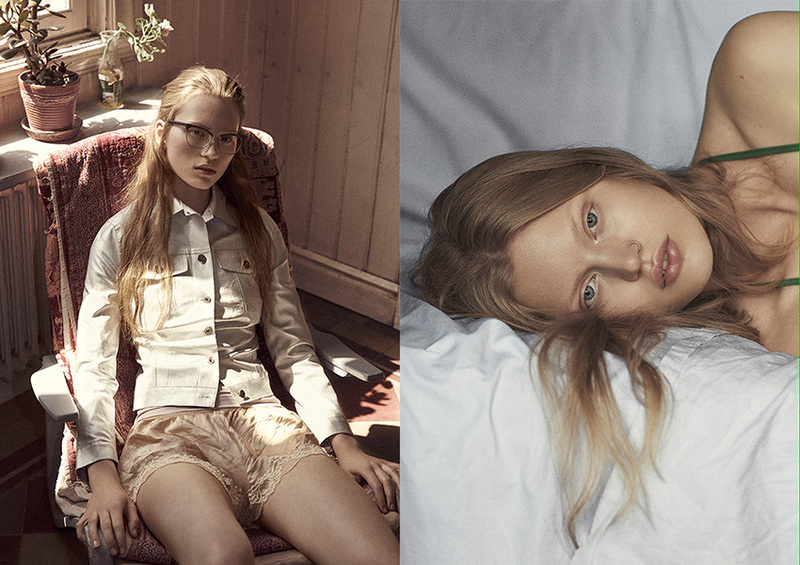 Glasses by Prada, jacket by J.Lindeberg and knickers Elle Macpherson. Nose ring by Flux and Solder. 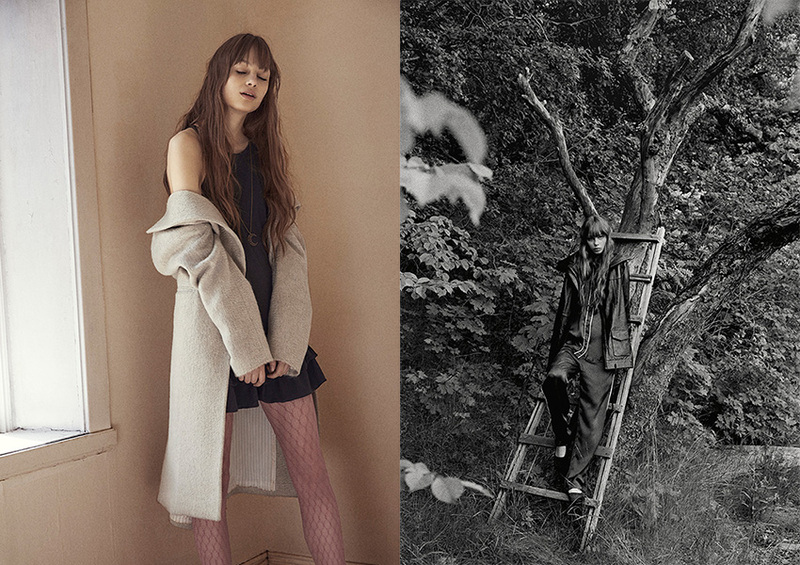 Photography by Anders Kylberg@Acne, fashion by Amanda Johansson@Linkdetails and Lisa Sundström@Eyes, makeup by Josefina Zarmén@Linkdetails, hair by Sherin Forsgren and modeling by Andrea@Nischmanagement, Johanna@Stockholmsgruppen, Elsa and Miranda@Mikas. Creative info: Anders Kylberg, Amanda Johansson, Josefina Zarmén, Lisa Sundström and Sherin Forsgren.